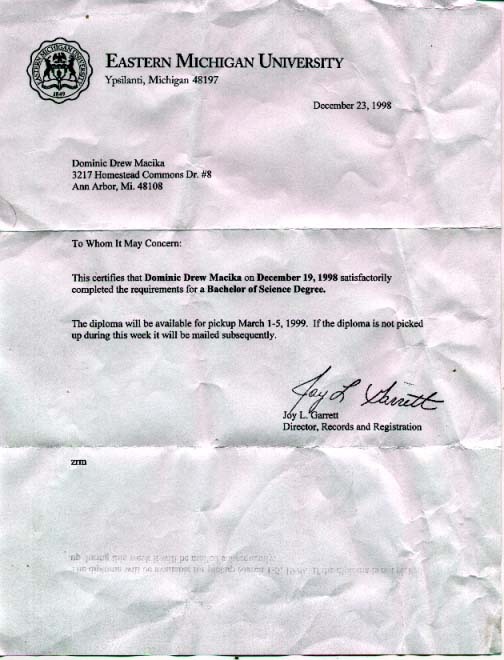 This is a letter received by me on December 24, 1998. A nice Christmas Eve present if you ask me. I shoulda scanned it before I put it in my pocket to take to show relatives, I suppose.